Check out this fabulous packaging design* from 2015. 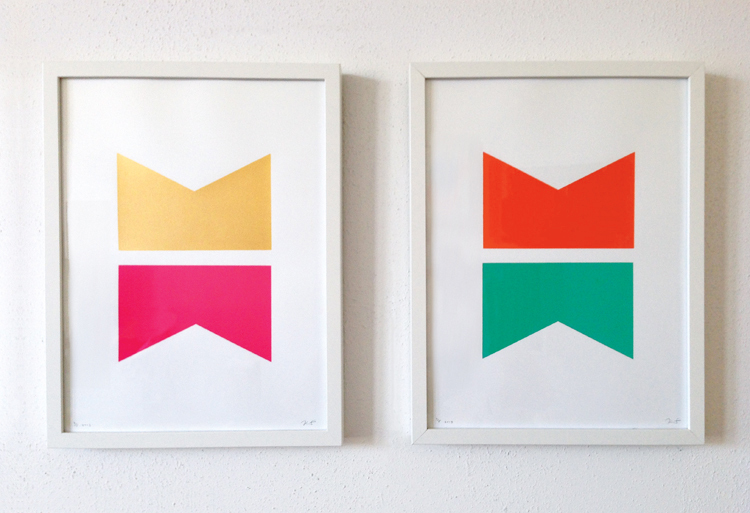 Notice any similarities between it and my screen prints from 2013? Now, while I’d love to pull out that famous phrase about imitation and sincerity and flattery from the dusty bin of cliches and apply it here, I think that this is purely coincidental. Or maybe, possibly something was floating through the air at that time. Dare I say a “trend”? Could my color choice have been “on trend” at that moment in time? I certainly hope not, because I spent a considerable amount of time choosing the colors for those two prints and that would make them feel cheap. I found those four colors to be quite harmonious and a perfect set. Apparently others had the same idea. So, okay, so to circle back again to my original theory, maybe it was a bit of copying. After all there are only two cartons in this example and there are only two versions of my print “Untitled (Crown).” Maybe my prints were ahead of the curve. I joke, of course. I’m just excited to see someone out there thinking the same thing, exploring similar ideas and experimenting with unconventional color choices in a commercial setting. 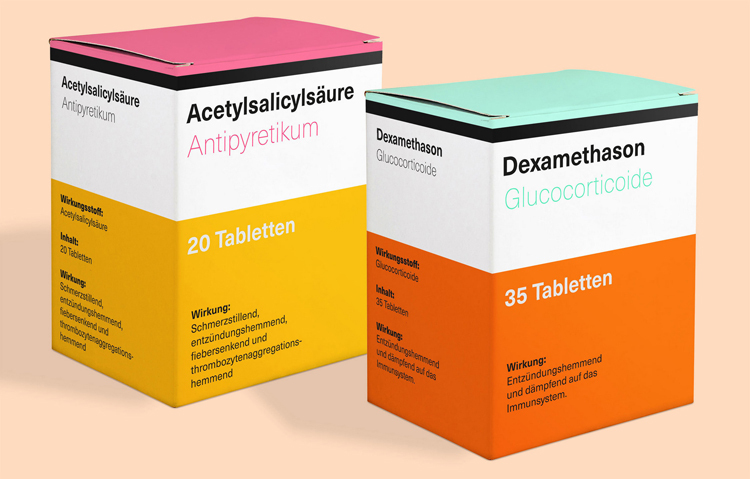 *The example above is actually a fictitious packaging design created by Alexander Roth for German font foundry FontShop Int’l to demonstrate the use of Monotype’s Neue Haas Unica. A beautiful sans serif font, by the way.